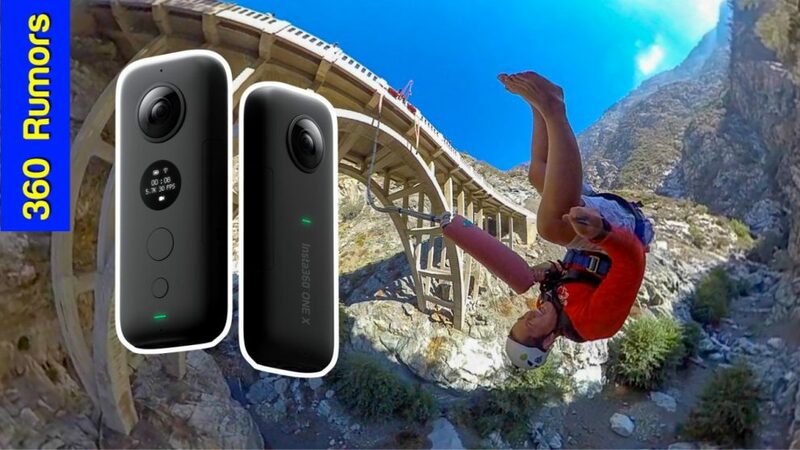 Insta360 One X is a 5.7K 360 camera that incorporates almost all of the best features of its competitors, and adds some features that have never been seen before in consumer 360 cameras, at an aggressive price point. All things considered, this appears to be the best 360 camera for consumers as of January 2019. 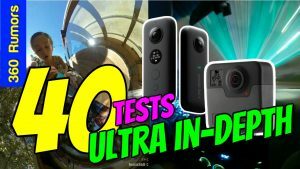 I’ve been testing the Insta360 One X since October 1, 2018, and here is a detailed hands-on review with complete specifications, features, comparison with and differences from the Insta360 One, GoPro Fusion and other 360 cameras, sample photos and videos, and more. 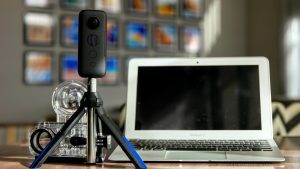 April 1, 2019 update: HDR Video while moving, Insta360 VR wireless viewing . See other updates below. Insta360 One X and Adobe Premiere workflow tutorial . 22 Tips and Tricks for Insta360 One X . Updated December 5, 2018: HDR video mode now added. Updated: November 18, 2018 hyperlapse comparison between One X and GoPro Hero 7 Time Warp. Updated: November 2, 2018: new underwater sample videos. Updated: October 31, 2018: DNG Raw support plus comparison with JPG. Insta360 has since resolved most of the issues, and has added new features. For new features, see below. Insta360 One X is a bold new direction for Insta360’s consumer 360 cameras. Until now, Insta360 has been known for having smartphone 360 cameras, i.e., 360 cameras that clip onto your smartphone. All their consumer 360 cameras have been smartphone 360 cameras: the Insta360 Nano, Insta360 Nano S, Insta360 Air, and Insta360 One. The Insta360 One X breaks from precedent and is purely a standalone device. Beyond its form factor, Insta360 One X is also turning heads with its comprehensive feature set. It’s as if they assembled the top 360 cameras in the market, identified the best features of each one, and crammed those best features into the One X, as you’ll see below. While its competitors will likely be filled with fear and loathing, consumers should be elated, as it will be easier to choose between features that would otherwise only be available in separate cameras. I should add that Insta360 One X did not just copy its competitors features. They also improved their signature features, such as Bullet Time, and added new features such as Drift Shot and Time Shift. Here are 32 features of the Insta360 One X for video, for photo, and for both photos and videos. The One X shoots video at 5760 x 2880 at 30fps (5.7k or 6k depending on who you ask). Insta360 introduced the bullet time feature in the Insta360 One. The One X’s Bullet time mode has improved tremendously with a higher resolution, a wider field of view, and a variable aspect ratio (9:16 portrait, 1:1, 4:3, or 16:9). In addition, Version 3.1 of the desktop app now allows the user to change the field of view (e.g. to make it wider). Insta360 One X can create a hyperlapse in the smartphone app. A hyperlapse is like a time lapse, except the camera is moving. For more information, and a comparison with GoPro Hero 7 Time Warp, see below. Insta360 One X features an HDR video mode, which enables the sensor to capture a wider dynamic range. Insta360 hasn’t disclosed how it works, but I speculate that the One X uses a Sony sensor with spatial multiplexed exposure HDR (SME-HDR), where different pixels capture the video at different exposures, and the sensor can combine the data from all the exposures to achieve an HDR video. See the samples and comparison below. Previously, Insta360 has said this feature would only be available when using the optional dedicated Bluetooth remote. However, on December 25, they made a surprise announcement to make the feature available with no additional accessories. You simply need to connect your One X to your phone wirelessly, and the GPS data from your phone will be used to provide the data for the overlay. As of January 2019, Insta360 Stats is available for both iOS and Android. See the sample video below. As with the Insta360 One, the One X can shoot in Log mode. You can download the Insta360 One X LUT here. As with the Insta360 One, the One X can capture 360 video and allow you to present it as a non-360 video where you choose the perspective. This allows you to “shoot first and point later.” Freecapture has several modes: Viewfinder lets you hold the phone as a virtual camera (with stabilization). Pivot Point lets you use keyframing to change the view smoothly. Smart Track can pan the view automatically to track objects. The One X is one of the very few cameras that enables editing without stitching. Specifically, you can create an overcapture video without having to first stitch the 360 video. Insta360 One X videos can be edited in Adobe Premiere or Insta360 Studio for One X without stitching them first. This not only saves time and storage space, but can also improve the quality of your resulting video by compressing the video only once — during the final render. For a tutorial of this feature for both Insta360 Studio and Adobe Premiere, see below. As with the Insta360 Nano S, the One X can put a picture-in-picture overlay with independently panning perspectives. The One X can live stream in 360 to Facebook, YouTube and other sites. The live stream resolution is up to 2560 x 1280. Unlike 360 cameras from other brands, the One X’s live stream is stabilized in realtime. The One X can live stream in non-360 mode where the live streamer can change the view in realtime during the live stream. According to Insta360, you’ll be able to combine two or more videos into a video within the One X smartphone app. This enables the ONE X to shoot a true multi-exposure HDR photo. It will take 3 shots, with exposure intervals that you choose, up to +/- 4EV. When you load the photo in the app, the app recognizes it as an HDR series and stitches an HDR shot. The desktop app does not yet stitch HDR as of launch date, so instead you would need to stitch the 3 shots separately and then fuse them using your preferred HDR software. See below for sample HDR shots. The One X has a wider range of shutter speeds, from 1/8000 up to 120 secs. The One X can shoot in DNG raw. Insta360 Studio will be able to stitch the One X Raw photos in DNG format. This feature is now available. With the One X’s new lens configuration, the lenses are closer to each other and are back-to-back for better stitching. The One X’s new sensor performs quite well in low light. Insta360 opted for a sensor with slightly lower resolution but with larger sensels for better low light performance. 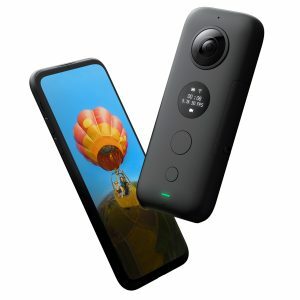 You can now get a live preview wirelessly, unlike the previous generation Insta360 One which allowed wireless control but had no live preview unless it was connected to the camera. With a removable battery, you can pack some spares to ensure you’ll never run out of batteries. In addition to preset filters and to a skin-smoothening beautifying filter, photos and videos can be edited in the app, enabling you to adjust exposure, contrast, saturation and other settings. The edits are nondestructive and are reversible. There are now several 360 cameras that can be used underwater, but very few of them can record smoothly stitched underwater 360 photos and videos. Water refraction changes the effective focal length of lenses, decreasing their field of view significantly. As a result, most 360 cameras can’t stitch well underwater. 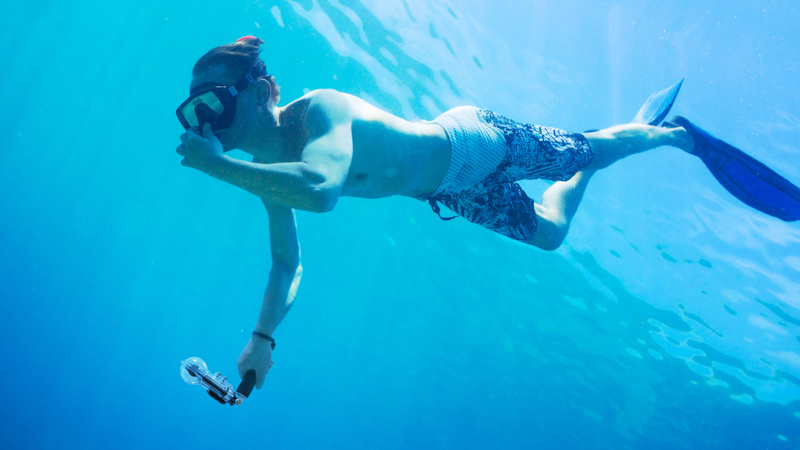 The only 360 cameras that are able to stitch smoothly underwater are those with a hemispherical lens cover, such as the Ricoh Theta (with the new TW-1 case), Kodak PIXPRO SP360 4K Dual Pro, and to some extent the Rylo. The Insta360 One X has a dedicated underwater case called the Dive case, with spherical lenses that negate underwater refraction. 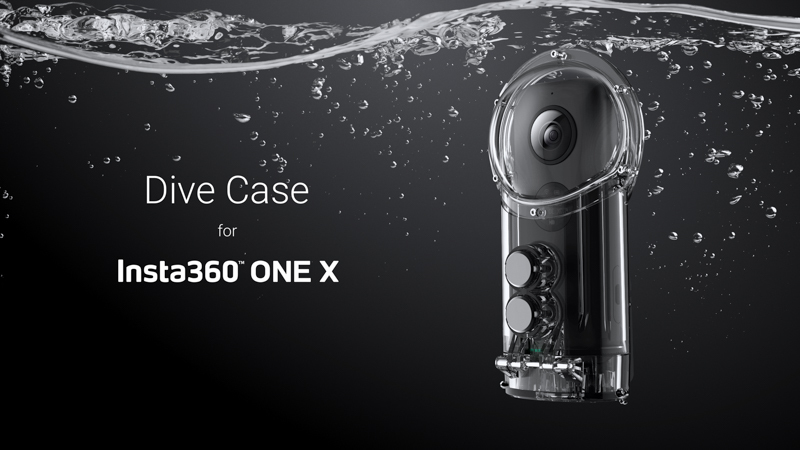 With the Dive case, the One X will be able to stitch underwater photos and videos smoothly. 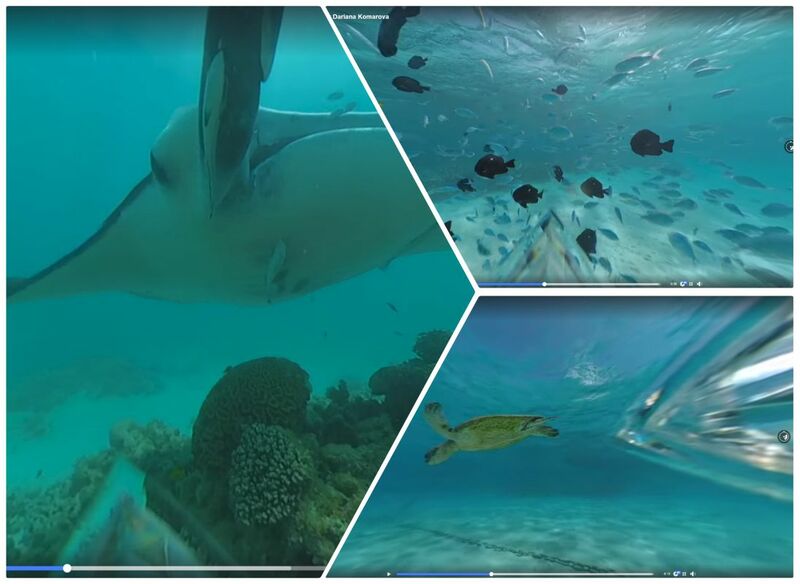 See the sample videos below for a link to sample underwater videos. You can use the One X in rough environments with an optional protective hardcase accessory. The case has a similar design to Insta360 One’s hard case. The case is not designed to be used underwater. Rather, it is designed simply to protect the One X in harsh or wet environments such as white water rafting. You can transfer photos and videos quickly to your phone with 5G Wi-Fi. You can transfer them even faster with the included USB cables. With your phone you can turn on the Insta360 One X remotely. This is useful if the One X is away from you on a tripod, such as near a stage, while you are in the audience. This does drain the battery faster, even when the One X appears to be off, but a future firmware update will let you choose whether to keep Bluetooth on, or turn it off when the camera is on standby. Note: As of February 2019, this feature was partly disabled to extend the battery life. However, iOS devices will be able to connect to the One X even while the Wi-Fi is turned off, by using Bluetooth to turn on Wi-Fi remotely. 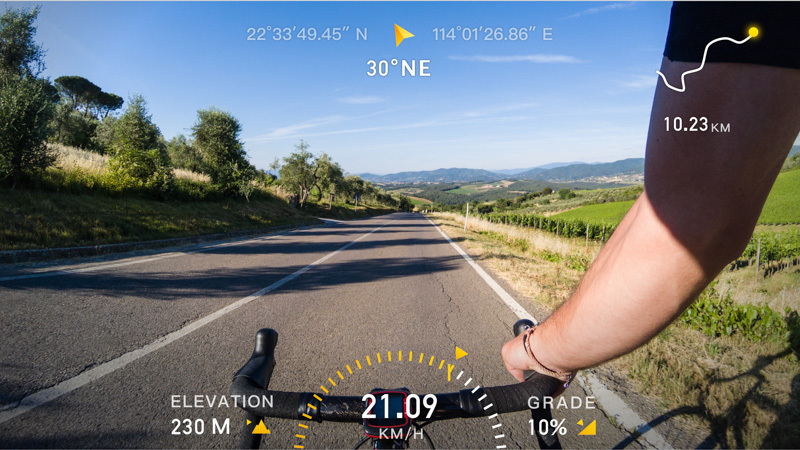 The One X can include GPS data in its 360 photos and videos when connected via GPS-capable smartphone or when used with the optional Bluetooth remote accessory. This means that photos or even videos can be readily uploaded to Google Street View with GPS data. GPS is also useful for virtual tours that use GPS data. The One X can also add GPS data to photos that were taken while the One X was connected to a phone equipped with GPS, either wirelessly or with the included USB cable. The One X’s OLED display is clear and shows what mode you’re shooting in. Lastly, another improvement that is perhaps worth mentioning is that the One X has a metal tripod hole, unlike the plastic tripod hole in the Insta360 One. You can now create 3D tiny planets — tiny planet photos that appear to be in 3D when viewed in Facebook. As of February 13, 2019, this feature requires the user to have a dual-lens iPhone (iPhone XR、XS、XS Max、X、8 Plus 、 7 Plus). This feature is particularly noteworthy because Insta360 One X does not have 3D capabilities. Instead, the 3D effect is purely from computer vision. To use this feature on compatible phones, simply share your tiny planet photo, and you’ll see a new option to share it as a 3D planet. Here is a link to a sample. You can take a non-360 photo from a 360 video. This enables the user to take a photo with the exact composition that they want by shooting a video, then extracting the photo from it. Alternatively, users can use this feature to capture a highlight from their 360 video. To use this feature, simply reframe the video, hit the snapshot button (a dotted square), and the One X app will generate a non-360 photo framegrab. You can view Insta360 One X photos and videos in a headset wirelessly, with no stitching or copying required. Simply install the Insta360 VR app (Gear VR or Oculus Go or Oculus Quest), connect your VR headset to your One X wirelessly, and launch the Insta360 VR app. 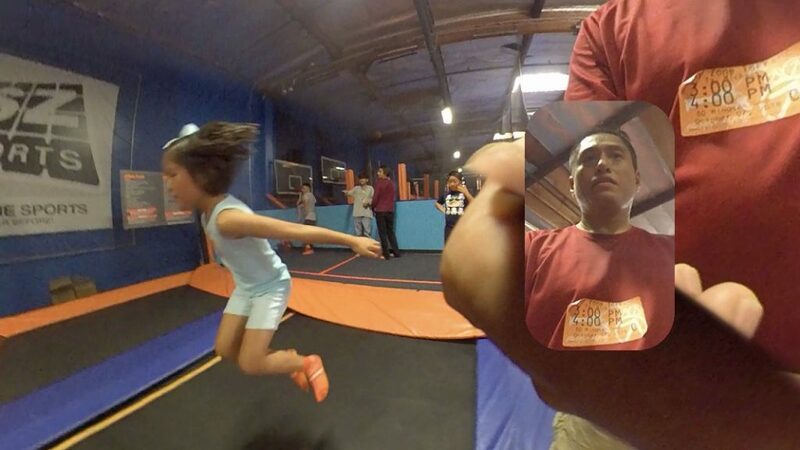 You’ll be able to see photos and videos in stabilized 360 view in VR. Here are the complete specifications of the Insta360 One X, with a comparison against the Insta360 One. Advantages are highlighted in bold. Compatible with YouTube, Facebook, Periscope / Twitter, Weibo Yes, stabilized. The One X’s photo resolution of 18 mp is substantially lower than that of the Insta360 One, with 24 mp. However, with 360 cameras, you should not look at specifications in isolation. There are many 360 cameras that have lower specifications than its competitors but somehow have better quality. For example, the GoPro Fusion’s 18mp photos have more detail than Insta360 One’s 24mp photos. Ultimately, what matters is how the photos and videos actually look. Here are sample photos and videos from the Insta360 One X (firmware 1.15.12 or 1.16.12). For extreme lighting, HDR shots can look better with dedicated HDR software such as Photomatix Pro (15% off with coupon code: 360rumors). Insta360 Studio (One X’s desktop software) will stitch each of the photos separately (turn off FlowState). You can then import the photos into Photomatix and fine tune the contrast, tonality and other values. Here is a sample 5.7K 360 video from a pre-release version of the Insta360 One X. It shows log mode, the dynamic range and sharpness, and low light performance. However, it does not show HDR Video mode. Instead, to see the HDR video sample, see here. The sample 360 video above is from the Insta360 One X, stitched on Insta360 Studio (not stitched on the mobile app). The stitched videos were then edited into a montage using Adobe Premiere Pro, with a 120mpbs bitrate. The videos show the One X’s resolution, dynamic range (with log mode and without log mode), low light footage, and stabilization performance in real world conditions. The video does NOT show audio performance. The version of Insta360 Studio that I used (released October 8, 2018) had some audio sync issues, but they were fixed after the video was posted. Tony Northrup criticized the stabilization of the One X when stitched on a desktop. What he said was true of the older version of the Insta360 Studio. But on Monday October 8, 2018, they sent me the new version of Insta360 Studio, which stitches smoothly and has working stabilization. That’s the version that I used to stitch these videos, and as you can see the stabilization does work. Here is a sample Freecapture non-360 video edited entirely within the app using Viewfinder, Timeshift, and the 3K 100fps mode. To show how the One X performs in low light for 360 photos, I took photos across its ISO range from 100 to 3200.For ISO 1600 and ISO 3200 the exposure is a bit different because there was a gap in the shutter speeds (there was no 1/4 or 1/8 speed, but there was a 1/5 and 1/10th so I used 1/5 for ISO 800). As of October 31, 2018, you’ll find both JPG samples, and JPG conversions from Raw DNG. It’s an overcapture video not a 360 video, so we can’t see everything but so far this sample shows almost no glare. That is quite impressive for what appears to be a polycarbonate hardcase, which are usually vulnerable to flare. Moreover, unlike the Ricoh Theta TW-1 underwater case, the Dive Case stitching appears to be smooth even above water. 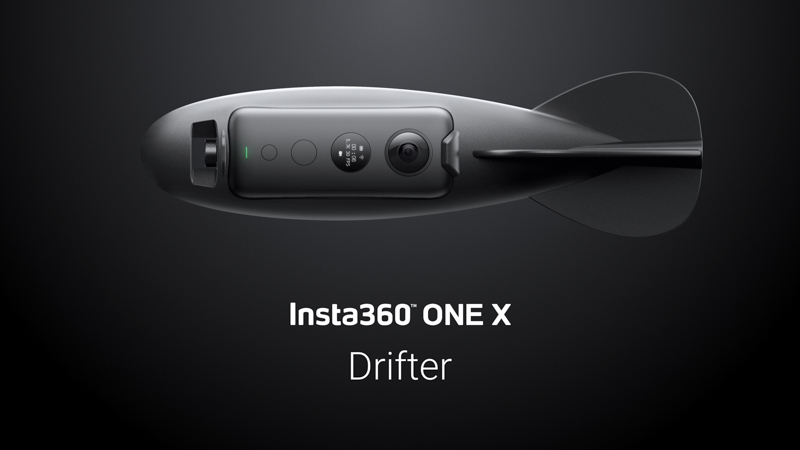 On November 1, 2018, Insta360 posted new underwater video samples from the One X with the Dive Case. The samples show seamless stitching. Here is a link to the sample videos. The stitching in the videos look smooth, although the case is visible at the nadir. The stitching appears similar to the Ricoh TW-1 underwater case for the Ricoh Theta, which is not at all surprising given their very similar designs. Here is a sample video that shows the Insta360 Stats GPS overlay feature, now available on iOS and Android. This video was shot with the One X connected wirelessly to the iPhone. No other accessories were used. You can download unstitched sample files from the One X here and use them with the software below to make sure your equipment are compatible. For instructions on transferring the files to the One X smartphone app, see FAQ #20 below. The files are for your personal use only. Please do not upload them anywhere and please do not send the files to other people. Please note the software are in beta therefore they may be missing features. For example, unlike previous versions of Insta360 Studio, these desktop versions don’t have Freecapture capability. However, you can install them alongside the previous versions (don’t delete the old versions yet). – Version 3.1 added different types of stitching (normal, waterproof case, dive case above water, dive case under water). Version 3.1 also allows the user to change the field of view for bullet time videos, taking advantage of the full 360 field of view of the One X’s bullet time mode. – Version 3.0.3 for Windows and 3.0.2 for Mac (both released October 30, 2018) feature Direction Hold support (forward-facing stabilization), and support for other Insta360 cameras such as the Insta360 One, Insta360 Nano S, Insta360 Air, and Insta360 Nano, paving the way to eventually replace the previous version of Insta360 Studio. The desktop app for Insta360 One X is Insta360 Studio for One X, available for both Windows and Mac. Beginning in version 3.2.1, the app added overcapture capability and the no-stitch editing workflow. This means that unstitched videos from the One X in .insv format can be directly edited and converted into an overcapture video instead of having to be stitched first. This no-stitch workflow has several advantages: first, it is faster since the user doesn’t need to stitch videos beforehand. Second, it saves storage insofar as the user will not need to store a separate stitched video. Third, it minimizes compression. Videos are compressed slightly during the stitching process. By avoiding a separate stitching process, you can avoid one level of compression. Here is a tutorial that focuses on using the 360 videos and photos for reframed / overcapture / freecapture non-360 photos and videos. If you want to use the photos and videos for 360 and VR instead, check out the tutorial below. For Adobe Premiere Pro users, Insta360 One X is especially easy to edit, thanks to Insta360’s exclusive no-stitch workflow for Adobe Premiere. You’ll be able to import Insta360 One X’s unstitched videos directly into Premiere, where they will appear stitched and stabilized. The imported videos can be edited exactly the same way as you would edit a stitched video, and you’ll be able to apply effects such as GoPro VR Reframe. When you’re done editing, you can render the project as you normally would. During the rendering process, Adobe Premiere will stitch the unstitched videos on the fly directly in the video. For Venture Case or Dive Case, right click on the clip in the project and click “Source Settings”. You’ll be able to choose Venture Case or Dive Case (above water) or Dive Case (under water). Faster and easier: you’ll save time because you’ll be able to edit the videos right away without having to stitch them. Save storage space: if you stitch a video before editing it, you’ll have the unstitched videos, the stitched videos, and the final edited video. With the no stitch workflow, you won’t have stitched videos, which will save you space on your hard drive. Higher image quality: when you stitch a video, there will be at least a little bit of additional compression. By using the no-stitch workflow, you can avoid one level of compression and the image quality is preserved at its maximum until the final rendering. Processor-intensive: because unstitched videos are stitched in realtime, then the no-stitched workflow is more demanding on the processor. At times, Premiere will crash or freeze, or may fail to render. The more complex the edit it is (e.g., nested videos, or when two or more unstitched videos are shown in reframed view side by side), the more likely an error will occur. No direction hold: as of January 2019, the videos will be stabilized but there is no option to use direction hold, a.k.a. direction lock. Some users have had problems using GoPro VR plugins with the no-stitch workflow. To install GoPro VR plugins, see here. Here are 22 tips and tricks for using the One X, from shooting through post-processing. 1. In low light, avoid motion blur by using a fast shutter speed. In the video settings, change Shutter: Auto to Shutter: Fast, or use manual exposure mode in video to use a faster shutter speed such as 1/125 or higher. 2. To remove the dark cloud, go to the app settings, choose nadir and choose “none”. To remove the watermark, go to the app settings and turn off the Official Watermark. 3. When the battery runs out or is removed, the clock resets to 12/31/17. To set the date and time, connect the One X to your phone (wirelessly or via cable). The One X will sync with your phone’s clock. 4. Extend your battery life by connecting the One X to a USB powerbank in between shots. 5. You can extend the battery life further by turning off the camera’s Wi-Fi. In the in-camera settings, change wireless: on to wireless: auto. iPhones will still be able to reconnect with the camera using Bluetooth, although for Android phones, you must turn wireless back on in order to connect to the app. 6. Protect the lens to avoid scratches, oil, or dust, which can increase glare. 7. Point the stitch line away from your subject or important parts of the scene. 8. Avoid uneven exposure: aim the stitch line toward the primary light source. 9. Use HDR Video mode to get better dynamic range. 10. To get a third person view, use a monopod or selfie stick that is narrower than the space between the One X’s lenses. 13. Save your edits in the One X app by periodically exiting to the gallery screen. 14. A shortcut for overcapture without keyframes is to point the front lens to your subject and to use direction hold. 15. Turn a 360 video into a 360 photo by using Insta360 Studio desktop app. Use an equirectangular view and press the snapshot button near the play button. 16. Get a non-360 photo from your video using the Snapshot feature on the One X phone app or Studio desktop app. 18. Get better colors by using manual balance, so that the color temperature doesn’t change from scene-to-scene. 19. Remove the Micro SD card more easily by using another Micro SD card to push the Micro SD card in the One X. 20. Time saving tip: while downloading videos, your camera can record new videos. No need to wait for the downloading to finish. 21. Render videos faster on your phone by turning off the power saving mode on your phone. 21. 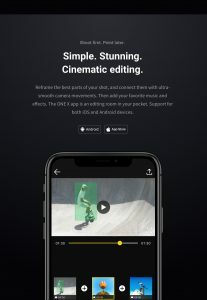 Create overcapture videos without stitching them using the One X phone app, Insta360 Studio for One X or Adobe Premiere. 22. Add a counterweight to your monopod to avoid it getting toppled over. Insta360 One X is one of the few 360 cameras with support for Raw photos. It can not only take photos in Raw format, but can also stitch them in Raw (Insta360 Studio Beta version 3.0.3 for Windows and 3.0.2 for Mac). The One X uses the industry standard Adobe DNG Raw format ensuring support across almost all Raw-capable image editors from day 1. From these crops, you can see that the highlight range of the Raw file is much greater than that of the JPG file (look at the point where highlights are blown from the sun). Another benefit is that the Raw file has far less chroma noise compared to the JPG file. The Raw file also has more detail. For example, in the low light crop, you can see clearly see the horizontal bars of the utility poles in the distance, which are almost invisible in the JPG crop. As expected, the Raw file does look flat in terms of color, contrast, and edge contrast (acutance), but those are easily adjusted, and the Raw file can be made to match the color and contrast of the JPG, or otherwise according to the user’s preferences. One issue with the One X Raw files (as of November 1) is that they must be tinted at maximum magenta in order to appear normal. If the magenta / green tint is adjusted toward green in the slightest, the image will appear greenish. I’ve brought this to the attention of Insta360 and they said they will resolve it. To see other comparisons between the JPG and Raw files, see the ISO comparison, with 360 photo samples from each. HDR Video is exactly what it sounds: it is a high dynamic range video, which appears to be a feature of the Sony sensor used by Insta360. Insta360 has declined to name the sensor used in the One X, but the sensor appears to use Sony’s SME-HDR (spatially multiplexed exposure HDR) technology. With SME-HDR, the sensor’s pixels have different exposures. This enables the sensor to capture a wider dynamic range than would otherwise be possible. In the sample video, we can see that the HDR video can capture a much wider highlight range. However, shadow range does not appear noticeably different. There is some confusion as to whether HDR video can be used without a tripod. The supposed concern is that because HDR video takes multiple exposures, that any movement will appear as ghosting in the video. I tested HDR video while moving and found no ghosting or blur in bright light. It is possible that people complaining about blur in HDR video mode are seeing motion blur from a slow shutter speed in low light. You should not hesitate to use HDR Video even when the camera is in motion, as long as there is enough light. To use HDR mode, you can either switch to HDR mode using the in-camera menu or using the smartphone app. In the in-camera menu, HDR video is a new mode that you can switch to by holding down the shutter button, which cycles to bullet time, time lapse video, and HDR video before going back to normal mode. There is also a new HDR video mode in the updated smartphone app. To add the HDR Video mode, you need to update the firmware, see FAQ no. 22 below. Here is the most detailed comparison between the One X and the GoPro Fusion, with 40 factors compared. 7. Stitching – at around 5:09 during the stitching testing, there are compression artifacts but those are from Premiere, not the one x or the fusion. not sure why premiere rendered it strangely. As of September 2018, the best consumer 360 camera has been the GoPro Fusion (reviewed here). How does the One X compare to the Fusion and other 360 cameras? 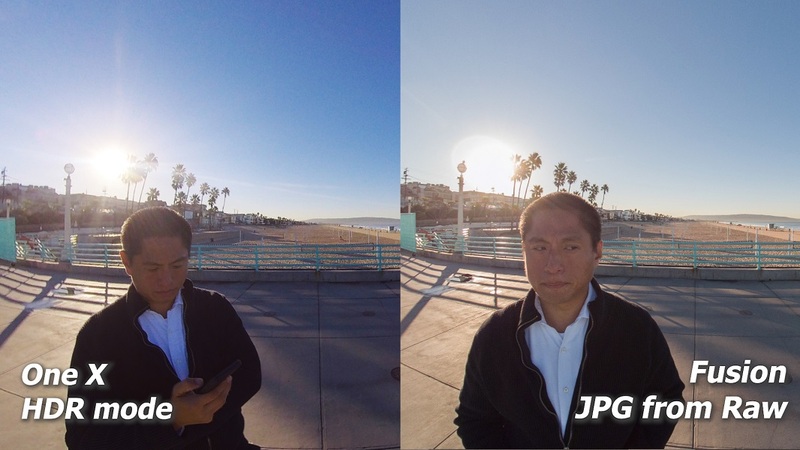 I used the 360 camera comparison tool to compare them side by side for both videos and photos. On the other hand, toward the stitch line, the One X has substantially more detail than the Fusion (the Fusion has a sudden drop in sharpness near the stitch line). If your priority is consistent sharpness throughout the frame, the ONE X would be better than the Fusion. With respect to dynamic range, the Fusion appears to have noticeably more dynamic range than the One X. 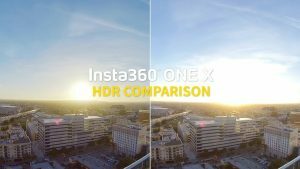 The wrinkle in the analysis is that I wasn’t testing the One X’s HDR Video mode (which was not functional as of launch day). It’s possible that with HDR Video activated, the One X might close the gap with the Fusion for dynamic range. However, it is not likely that it will have a material effect on the One X’s resolution. The Fusion has a slow motion video mode, with a resolution of 3K at 60fps. I compared it against the One X at 4K 50fps and 3K 100fps. I found that the One X at 4K 50fps had noticeably more detail than the Fusion’s 3K 60fps mode, while the Fusion’s 3K 60fps mode had noticeably more detail than the One X’s 3K 100fps mode. For photos, in my opinion Fusion has also been the best overall 360 camera for consumers because its detail is almost as good as that of the Xiaomi Mi Sphere (reviewed here), while having far greater dynamic range. This is despite the Fusion having a nominal resolution of only 5760 x 2880, lower than several other 360 cameras. 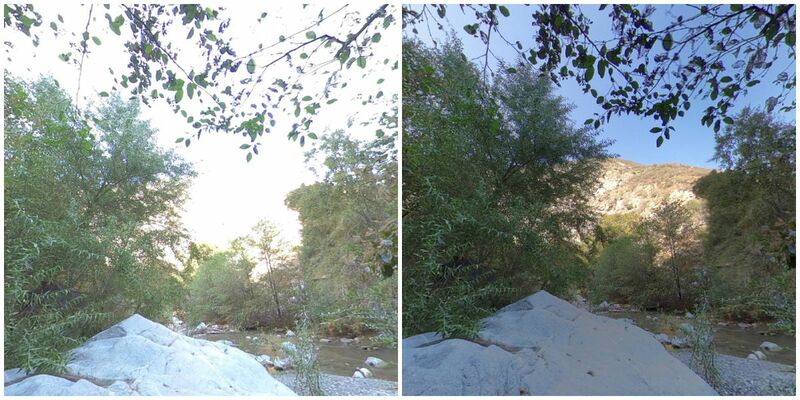 I compared 360 photos from the One X and the Fusion and found that when viewed at the same viewing size, the ONE X and Fusion are similar, although the Fusion has very slightly more detail (resolution), while the ONE X has higher edge contrast (acutance). As for dynamic range, Fusion has more dynamic range in JPG mode. Fusion’s raw mode also has slightly more dynamic range that One X’s raw mode. However, the One X has a true HDR photo mode with three exposures 4EV apart, while the Fusion has no HDR mode. 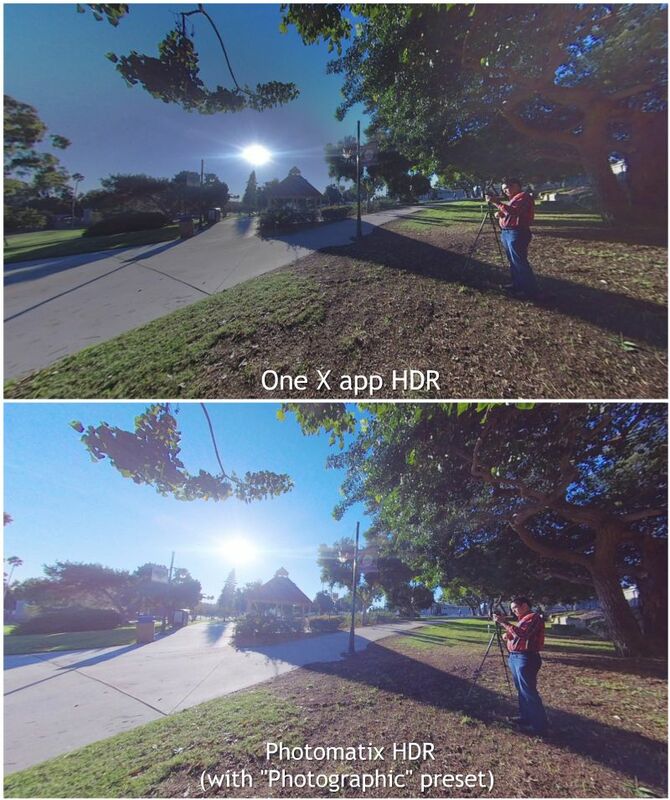 With HDR, the One X exceeds the Fusion’s dynamic range. Both Insta360 One X and GoPro Fusion have excellent stabilization, and both can use two modes of stabilization: one with a stabilized compass heading, and another that stabilizes toward the direction the camera is facing. However, Fusion’s forward facing stabilization is nowhere as smooth as the One X’s forward facing stabilization. Note further that GoPro Fusion can sometimes drift (the heading gradually turns toward one direction). The ONE X has no drifting issue (assuming you’ve already calibrated the gyro — an option in the in-camera menu). Insta360 One X has far more features than the Fusion, and is easier to use as well. 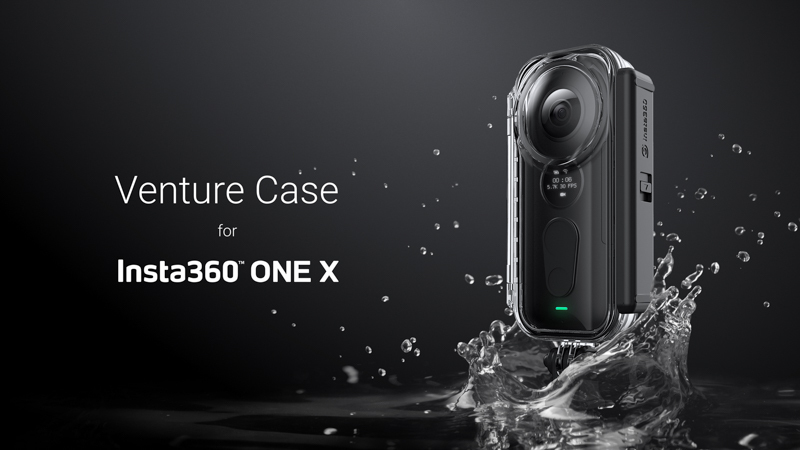 Among the features that the One X has that are not available on the Fusion are the 3K 100fps mode, Drift Shot, Time Shift, a smooth-stitching underwater case, GPS overlay (with the Bluetooth remote accessory or a smartphone) and more. At the same time, there is also a significant price difference between the One X ($399) and the Fusion ($699 and occasionally $599). For practicality, one advantage of the Fusion is that it is waterproof even without a case. However, the One X has two waterproof housings available. The Fusion has slightly more detail for videos, and noticeably better dynamic range for videos. For photos, the ONE X has better dynamic range in HDR mode. I expect that with the One X’s HDR Video mode, the gap in dynamic range for video would be much narrower. Moreover, ONE X has more consistent sharpness throughout the frame. At the same time, the One X is almost half the cost of the Fusion, and has far more features such as the very useful 3K 100fps slow motion, Drift Shot, and Time Shift. Accordingly, in my opinion, assuming Insta360 can fix the HDR Video mode, I believe the One X is a better overall camera than the Fusion, and is therefore probably the best 360 camera for consumers as of October 2018. With the 5.7K video mode, recording time is limited to 30 mins. This is not due to overheating but due to the unique file structure of the ONE X to enable recording at 5.7K. Tony Northrup posted a review of the ONE X with several criticisms that are partly correct, but partly incorrect. 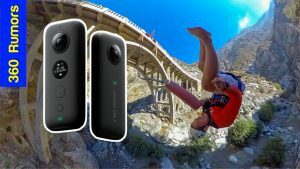 In his review, Tony Northrup said if you use the Insta360 Studio to stitch the video, then the stabilization will not be good, and the stitching will be poor. What Tony said is true only for the older version of the Insta360 Studio software. But on October 8, Insta360 made a functional version available, which not only stitched smoothly (at up to 120mbps) but could stabilize well. The sample video I posted above was stitched with Insta360 Studio desktop software and you can see the stitching is seamless, and the stabilization is smooth. Many bugs have already been resolved (e.g. frame rate, audio sync, 360 metadata) but there are still lingering bugs. For example, as of October 22, 2018, there is still no support for HDR video, which was one of the key features advertised. For those who are experienced 360 shooters, this is par for the course, but for new shooters, it can be disconcerting. It will feel like you are a beta tester. Rest assured, however, Insta360 does respond very quickly and pushes out frequent updates to firmware and the apps. In addition, the Insta360 ONE X has most of the same tradeoffs of 360 cameras compared to non-360 cameras: first, it is less detailed despite the often higher video resolution, because it captures a wider field of view compared to non-360 cameras, just like a fisheye lens will capture less detail than a telephoto lens from the same shooting distance. In exchange, with the 360 field of view, you have far better stabilization and the freedom to choose the perspective in postprocessing. Second, like most other 360 cameras, you will need to stitch the photos and videos. You can’t just take the files straight from the memory card and stick them in your video editor (although a no-stitch workflow will be enabled for Adobe Premiere users). On the plus side, the ONE X desktop app does allow batch exporting which makes it easier to stitch. Moreover, if you use the mobile app for overcapture videos, you can go straight to overcapture and won’t have to stitch the video first. Third, using 360 video to create overcapture non-360 video is very useful but does add an additional step in editing. To me, this is not much of a problem. During video editing, you usually have to adjust the image here and there anyway, and having the ability to change the view during editing is a benefit to me. However, for casual shooters who don’t want to edit their videos, converting to overcapture will add an additional step. The Bluetooth remote is a dedicated remote for the One X that can not only be used to trigger the One X but can also switch shooting modes, and most importantly, add GPS metadata to your photos and videos, which can in turn be shown as an overlay on your videos. This case is designed to protect the One X from water or harsh environments. You can use this case to take underwater photos and videos with the One X. The specially designed lens is designed to avoid refraction. This battery charger can charge two One X batteries at the same time. I’ve tried it and it works as advertised, but you must use the included cable and adapter. If you plug the charger to a generic USB charger, the batteries might not charge correctly. This is a case for the Insta360 One X designed to enable the One X to be thrown. The new version of the Insta360 Invisible Selfie Stick has a narrower tip to ensure that the selfie stick is invisible to the One X (as long as the shaft is extended). Other monopods I’ve tried that are invisible to the One X include the Benro MK10 and Monoshot 2 (see my Ultimate Buying Guide for 360 camera tripods). You can use this specially designed swiveling handle with a monopod such as the Invisible Selfie Stick to create a bullet time shot. The bullet time handle has a 1/4-20 tripod connector to connect to a monopod with a tripod hole. There is no change to the bullet time handle. 1. Is Insta360 One X compatible with iOS and Android smartphones? Yes Insta360 One X is compatible with both iOS and Android. For iOS, please note that the minimum phone is an iPhone 6S. 2. 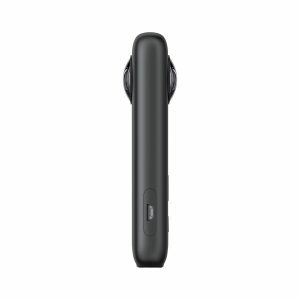 Is Insta360 One X compatible with Windows and Mac? The desktop software for Insta360 One X is currently available for Windows and Mac. A desktop is recommended to have a GTX 750 graphics card or better in order to stitch at the full resolution. For an affordable graphics card, I recommend GTX 1050 Ti. However, I’ve been able to stitch without a dedicated GPU on a Mac Air early 2015 with Intel i7 and Intel HD graphics 6000 (but it takes a while). 3. What Micro SD card should I get for the One X? You must use a Micro SD card with V30 rating, up to 128GB size. The best one is Sandisk Extreme Pro (32GB, 64GB, 128GB). 4. Does someone have to catch the camera for Drift Shot? The Drifter accessory is designed protect the One X lens if it lands on a flat surface. It is possible to land on a protruding rock or other object that could damage the lens. Also if the Drifter is not indestructible (for example, don’t drop it from a building). Finally, the One X can withstand some shocks but stronger shocks may damage internal components of the camera. 5. Can I use the Drifter accessory with another 360 camera? The Drifter accessory is designed to fit only the One X. Moreover, the One X is the only 360 camera with decent quality super slow motion. 6. Do I need the Dive case or can I just use the Venture case? If you want to shoot photos or videos underwater, then you need the Dive case. The Venture case is waterproof, but it’s not designed for underwater shooting, so the photos and videos shot underwater won’t stitch as smoothly (there will be blind spots on the sides of the camera). The One X records videos in insv format and photos in insp format. Those are unstitched photos and videos. They need to be stitched and saved as mp4 and jpg respectively. See the tutorial above. 8. After I stitch the photos and videos from the One X, where can I share them? Photos can be uploaded to sites such as Facebook or Kuula or Veer. Videos can be uploaded to sites such as Facebook, YouTube, or Veer. After you’ve uploaded your photo or video, then you can share the URL with your family and friends. Alternatively, you can embed the photo or video on your website or blog. Most 360 photo and 360 video sharing sites allow embedding (usually it is one of the share options). Just copy the iframe tags and paste them in the html of your blog or website. More info here. 9. Where can I get a discount on the One X? 10. Which tripod, selfie stick, or monopod should I get for the One X? In order for the selfie stick to be invisible, it needs to be narrow enough to fit between the lenses of the ONE X. I recommend the new version of the Insta360 2nd generation Selfie Stick, or Benro MK10. Also check out my Ultimate Buying Guide for 360 camera tripods. 11. Endurance: How long can the ONE X record? Can it record while charging? In 5.7K mode, the ONE X can only record for 30 mins. at a time. This is a limit of its file system, not the battery or overheating. Yes it can record while charging via USB however you cannot record without the battery. 12. Can you shoot photos in Raw format? Yes you can take photos in Raw DNG format. When you shoot in Raw it actually shoots it as Raw+JPEG. You will have two files: a JPG file with .insp extension and a raw file in DNG format. The DNG files are saved in the camera as unstitched files. You’ll then need to use Insta360 Studio to stitch the DNG and it will save the stitched file in Raw DNG. However, as of october 22, Insta360 Studio doesn’t have raw stitching capability yet (wait for an update). The other limit is that you cannot shoot in Raw DNG while in HDR mode. 13. Can you shoot videos in log mode? Yes you can shoot videos in log mode. Insta360 also has a LUT available for download. Moreover, the mobile app recognizes videos shot in log mode and will give you the option to apply a LUT. 14. Does it support Google Street View? Yes for photos and videos. To get GPS data, you’ll need to connect the One X the optional dedicated Bluetooth remote accessory. 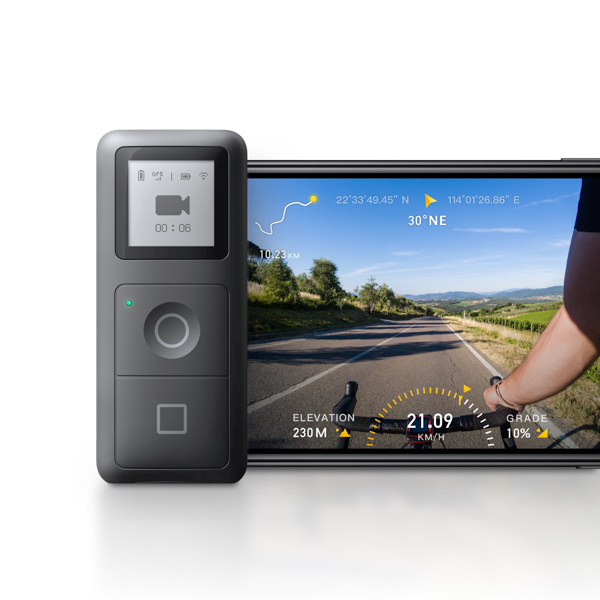 For videos, ONE X is compatible with Street View if you use the updated smartphone app (version 1.3 or above) or if you shoot with the optional Bluetooth accessory to add GPS data to the video. 15. Can ONE X live stream over Wi-Fi? In order to live stream, the ONE X must be connected via one of the included cables to your phone. 16. What is the maximum bitrate of the ONE X? In 5.7K mode, it records two files simultaneously in. H.264 format, with each file having around 50mpbs. The desktop app then gives you the option to stitch the 5.7K videos as 120mbps. 17. Can you take long exposure time lapses? Yes. In the time lapse photo mode (called “interval”), you can use manual exposure, with shutter speeds as long as 55 seconds, and take photos at intervals as long as 120 seconds apart. The photos can be in Raw DNG format. 18. Can the mobile app process 5.7K videos? In 360 mode, you can view 5.7K but when you stitch / export, the maximum resolution for stitched 360 videos is 4K. In overcapture mode, the ONE X app will use the full resolution of the 5.7K video in creating a 1080p overcapture file. 19. I connected my One X to my desktop but the desktop is not recognizing the One X. Check the settings in the camera’s menu. The One X USB must be set to iOS not Android when you connect it to the desktop. Once connected, the One X will show “U Disk” on its LCD screen to show that it is being used as a USB drive. 20. How do I transfer files to the Insta360 One X app? “To put files to OneX app, if you are using an Android device, please put them to Insta360onex\galleryorigin folder. If you are using ios device, please create a folder named IMPORT, put files in this folder, connect your ios device to the computer via iTunes, find Insta360 ONEX, use the IMPORT folder to replace the original IMPORT folder” per Insta360 support staff. 21. My Insta360 One X was fully charged when I kept it in my bag a few days ago and now it is low battery. Why? If you turn on the camera and turn it off, the One X leaves Bluetooth on in order to allow remote activation. This lets you turn it back on even from a distance but this also drains the battery a bit. A future firmware update will give you the option to choose whether to turn off the Bluetooth when the camera is on standby. Meanwhile for now you can remove the battery and put it back. When you do that, the Bluetooth will not be activated. 22. How do I update the firmware? There are two ways to update the firmware. First is through the smartphone app. While connecting the One X to the app, you Go to the settings from the main menu, and scroll down to “About Insta360.” If you see that the firmware version or app version has a red dot, it means an update is available. Tap on the firmware version or app version to begin the update. The second way to update firmware is by downloading the new firmware, copying it into the root directory of your Micro SD, then inserting it into the One X (while the One X is powered off). When you turn on the One X, it will recognize the firmware update and update itself automatically. You’ll see the LED turn off for a minute or so, before coming back on again, with the new firmware version displayed on the LCD. 23. While upgrading my firmware, my camera encountered problems. I might have bricked it. What can I do? Insta360’s support staff may be able to assist you. There are two ways to reach them. First, you can join their Facebook group (Insta360 Community and Insta360 One Community) and post your issue. An Insta360 representative will respond. The second way is to use the help button in the app. From the main screen, tap on settings on the bottom right. On the settings screen tap on the yellow support button on the upper right corner. Then explain what happened. You can get a special deal on the Insta360 One X that includes the 2nd generation Invisible Selfie Stick for free when you buy directly from Insta360 using this affiliate link. Another benefit of ordering from Insta360 is that you can order it together with ONE X accessories that you won’t be able to get anywhere else. However, if you prefer, you can also buy from Amazon or from B&H Photo here. Thank you for supporting 360 Rumors at no additional cost to you so I can do more tests and reviews! Here are the Insta360 One X’s strengths and weaknesses thus far. + Timeshift speed ramp effect is easy to use on the mobile app. – 5.7K video recording limited to 30 mins. at a time. – Micro SD card is hard to remove with short fingernails. – Battery life limited to 60 minutes video recording (45 mins. recording in real world conditions, turning on and off,, etc.). But you can get spare batteries. – Does not have 3D capabilities. I wonder what it will cost… I’d say around 300 US dollars. My guess it would be around $350. The cost of Insta360 One X will be much more than the Insta360 with removable battery, wifi module and newer sensor. Hi John. For the image quality, I suggest using the second video (the stabilization demo) as comparison. The first video, with slow motion, likely uses a lower video resolution to achieve a higher frame rate. The second one looks like it is the normal frame rate. Nice to see them taking the Panono idea forward – some cool footage should be possible. I hope the image quality will be good enough for professional work, or they’ll do a pro version as well. Always good to see new innovation, so kudos for that. I’m afraid to take my cameras out of their cases! Throw them?! I think not! yes it will be interesting to see how insta360 makes it throwable. I wonder how athletes are going to react to cameras being thrown at them. I wonder how many of them will get hit. I wonder how many 360 shooters have good throwing arms. Will be fun to see this one in action! on facebook someone posted the following.. The upcoming Insta360 X with BLE which means it will possibly still not possible to liveview via BT. But with the addition of wifi, this version should be able to liveview or even streamlive via wifi. The battery is removable and it should be pretty much similar to Sony Action camera series battery in physical size! this was a comment someone posted in the insta360 facebook group, cannot find it anymore. Dunno if it was removed or it’s just me who cannot find it now. I’ve updated the article to show a new video with analysis and predictions! I got banned within Insta360 Group by posting materials from FCC documents. LMAO a company with such customer service. Looks how Nikon/Canon reactions to Z6/Z7, EOS R. They also have submitted their new device to FCC before release. Did they stop customer guessing the features/function (from those fcc materials) before the official release? Nikon fans even have made a Z6/7 with paper or using the hot shoe size to draft the actual size of the camera! Did those brand(s) ban/disable their loyal customer/supporters from posting? It’s a huge disappointment to this company customer handling. They have applied short term confidentiality to external photos, internal photos, test setup photos, user manual. But they didn’t apply to other fcc reports/letters. That’s means those are available to public! Anyway these are information with some personal guess on the upcoming spec from those fcc public documents. Insta360 farsight document have also been updated. There’s a slim chance that Insta360 One X will be compatible with the farsight. Michael you was right with “the graphic used by Insta360 is a stylized image of the camera itself”. You can actually take a look on part the camera from this link. Those circles are possibly the status screen (large circle). arrows button, confirm/power/wifi/bt button. below those 4 circles also have a small led indicator (should be the camera power status/record status). Mic great analysis there. I think the real strength here as you pointed out is the fast shooting speed. That would also explain the slow motion clips that they are showing. That would allow for throwing it but not necessarily needing to throw it. The camera could be attached to a very long selfie stick such as the Telesin. You could then follow someone and get really close to the action. As you also pointed out throwing the camera and letting it hit the ground is a non runner. You can’t protect the lenses and still get stitching that good. Looking forward to it. My main question about any Insta360 brand camera is whether they’ll have anything other than token android support. Pretty much any video I shoot on my Insta360 One that’s more than a few minutes long is worthless because they will not render with FlowState stabilization on *any* platform (ios android or PC) without the app crashing first. Thank you for all you do! Your affiliate link has the same prices as the Insta360 store. Can you confirm what the deal should be? I want place my order!!! Hi David. If you order through my link, you can get the 2nd gen invisible selfie stick (narrower tip to be invisible to the One X). Thank you for all of your detailed reviews. I’m ready to replace my Theta S and this has EVERYTHING I’ve been looking for! Your affiliate link seems to be the same pricing as the Insta360 store directly. What should your bundle include and cost? Hi David. Sorry for the delayed reply. I just saw this now. Yes it’s the same price but you get an invisible selfie stick (the new version that’s narrower, so it’s invisible even to the one x). Gotta have one! Been on the fence about the GP Fusion. Thanks Tones! yes i think right now it is the best 360 camera for consumers, imho. It’s not perfect, but it has the best commbination of performance (photo and video), features and ease of use. 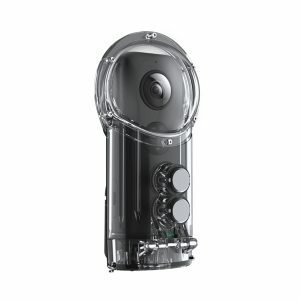 Other than the extra features, how does the Insta 360 X compare to the Mijia Sphere for video and stills sharpness and quality? Hi Mike. so sorry for the delayed reply. The One X is waaaaaaaay more detailed in video, waaaaay better stabilization and chromatic aberration as well. Dynamic range seems a bit better, maybe better at flare resistance too. See the samples… mi sphere just can’t do that level of detail. The One X’s real competition is Fusion but Fusion costs much more and has fewer features. The best feature for me is slow mo. Very very useful i think. Do the improved optics make up for the loss of resolution when compared against the Mi Sphere too? More specifically – when in HDR bracket mode, does it capture all three images quickly before saving them, or does it do capture/save/capture/save/capture/save like the Mi does? Can it bracket when shooting DNG (the Mi can’t)? How do you think the One X will stack up to the Vuze XR camera. I was looking at the Vuze XR for my next camera, but seeing the One X has me wondering if that would be a better choice. Les, I think that’s unanswerable until we can see how well Vuze does with the 180 work. I think it’s extremely likely that the One X is just plain going to out-360 the Vuze XR, and I also think the One X will be inherently more durable (the flip-out lenses just seem like they’d be prone to failure/breaking). So, for me at least, it all comes down to how well 180 photos/video work on the Vuze XR. My LucidCam, despite *many* issues, has shown me that 180 can be really interesting, but it needs to be done right (Lucid… didn’t). If Vuze does it right, I’d pick the XR. If not, I don’t see how the One X isn’t the easy choice between the two. I am curious how the iOS app handles video that was shot upside down in the “Mavic Pro mode”. They do advertise the two Mavic Pro accessories on their website after all. No problem, Hugo. It will be leveled automatically. As always great stuff! Would you consider some side by side comparisons on the Insta360 Pro and this new One X? I am seriously thinking of selling my Pro as the revenue is not there to justify keeping it. I have the Mi Sphere, Yi 360 VR and Panono. Thinking of selling the Panono as well. This One X looks really awesome and it pretty much does everything. Any thoughts will be appreciated. I don’t seem to be getting the discount code. I only see the bundle options which I saw prior to finding your link. Am I missing something? If you click through the link, then you add just the camera (the cheapest of the four options), you’ll see the selfie stick (at $0.00) in your cart when you check out. Is the new Insta selfie stick also invisible with Mi Sphere? I will test, but if you want a selfie stick that is definitely invisible to both, check out the Benro MK10 or Monoshot version 2. Thanks, i’m curious about it. Looking For something really sturdy for the Sphere. Want to mount it to my paragliding harness. It should resist high g-force of deep spirals. According to your video the Benro and Monoshot don’t seem to very stable. Any alternatives? Thanks for the affiliate link – order with it. What a bonus – the free selfie stick! THANKS! Is the new Insta selfie stick also invisible with the Mi Sphere? it still saves files as non stitched .insv then? Hi Oliver. Yes insv and insp. Few questions about intervalometer – how fast it can take still photos (as jpg), every second? Does it stitch in-camera (jpg’s)? Many mapillary.com users would be interested in these details. Thanks for the great review ! Hi Mic Ty, have you found out the fastest the intervalometer can take images? I can’t find the manual online anywhere? hi Mike! i will check when i get home! when will it be available ? (your affiliate link does not gives a free invisible selfiestick ?) .does the windows software run without a nvidia card (slower rendering of course) or will it refuse to work without it ? thanks. The affiliate link *does* give a free selfie stick (see above) – you just need to add the camera to your cart and check out, and you’ll see it. Just click on the link, add the camera by itself, go to check out, and you’ll see the free selfie stick in your cart. Hey Mic did you do any battery tests yet I’m curious what kind of life it had? In “real world conditions,” I took various types of videos and I was able to record around 45 mins of video plus about 8 photos for each battery. Quite short, but at least you can get extra batteries (and you absolutely will need them). Nice review, Mic. Very interesting camera. I think I’d rather throw it in the Venture case than risk the lenses with the drifter. But that Drifter looks interesting too. I wonder how high a person with an average baseball throwing arm could toss it. Can be used while charging with USB? And any problem with over heating? Hi Mic and thanks for this review! In the n°27 feauture miss the end phrase! One question: it’s direct compatible with StreetView app? Thanks David! I’ve fixed it. Not sure re street view connectivity. i’ll check later. Hi David. With the current version of the firmware (1.15), it does not connect directly with the street view app. It may do that in the future. Nice review. How do u compare the audio quality to GoPro Fusion which has spatial audio using 4 mics? Hi Osama! Good to see you again my friend! Fusion audio is much better than One X. One X is only stereo, and the quality is kind of weird, sounds artificial and echoey. One more thing, how does it livestream? Connection possible via cable or wifi too? Like Insta360 One needs to be connected to a mobile device to livestream. I hope it is not the case with this camera. Hi Osama. When live streaming, the camera must be connected via cable. Thanks so much for your incredibly thorough reviews! If I buy the One X I will definitely use your affiliate link. I’ve been searching the specs but I haven’t found anything that says definitively that this camera shoots at 120mbs. I read somewhere that it was 70mbs but I’m not sure that was accurate. I’m also wondering if this is using the h.265 codec or h.264. I realize the raw files are in a proprietary format but I’m sure they’re using one of those two codecs for compression. Thanks Jason! In 5.7K mode, it creates two files that each are 60mbps. Then when you stitch in the desktop software as a single 5.7k equirectangular video, it gives you the option to stitch at 120mbps. It uses H.264 even for 5.7K videos (even though h.264 is technically limited to 4K). ONE X records videos in .insv format and photos in .insp format. These are proprietary untitched formats. You then use the smartphone or desktop app to save it as .mp4 or .jpg respectively. H.264 is not limited to 4k. Are the output insv files from the camera already stabilized video files? And, is it possible to access all the features of the camera without using a phone app? Can it record and charge at the same time? Hi Jon! Yes it can. But you can’t record without the battery (if you remove the battery and plug it into a USB source, it doesn’t startup correctly). Also, can the video be sent to an external recorder? My plan is to use it for motorcycle trips and have it always recording so having to restart the recording every 30 minutes or when the small SD card fills up. Also, why do they cripple hardware when they have 1 TB SD cards out now and the cost is falling every day?! Thank you Mic for the detailed review! Thank you very much TowkayNew! Don’t understand in the Vs Fusion comparison, are you comparing the YOUTUBE rendering of the video of the 2 cameras, not the raw/straight original footage?? Hi Mic. My MiSphere died 2 days ago (a strong wind tipped it of with the tripod I attached it on and fell on a rock; the lens smashed in a million little tiny pieces). I was thinking getting a new MiSphere as I’m more into 360 photography than video, but I can’t say I was completely satisfied by the quality of the pictures I was getting from the MiSphere. In particular I was finding its dynamic range quite limited (overblown highlights) and its low light quality not that good (the photos were quite… grainy). Do you believe I should go for Insta360 One X this time? Is its photo quality better than the Xiaomi? Would it be possible to take a couple of comparative shots between the two? Thanks! Hi Ernani. Yes I will post sample photos vs One X vs Mi Sphere. Thanks Hocksoon! For video, One X is waaaaay better than Mi Sphere for image quality, stabilization, even optics. For photo, i will test. Is it possible to just take flat pictures with it? If that’s a yes, what’s the quality? same as 360 ones? Hi Clement. You can take a 360 photo and convert it to a non-360 photo. The quality will depend on the field of view that you use. A tighter crop is like using digital zoom. The higher the digital zoom the worse the quality gets. 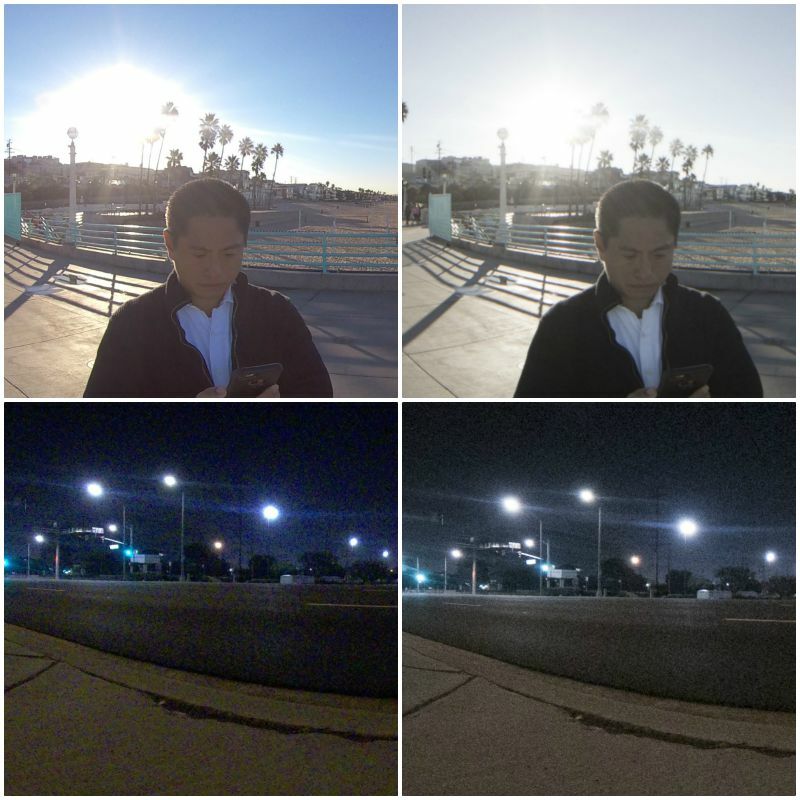 in your video test the image is overexposed (unusable, oddly enough the autoexposure works fine for the photo mode of the same scene with the same lighting condition) is there manual exposure compensation available for video ? there are 20% more pixels to work with in video on the onex 5.7k vs fusion 5.2k ( unstitched video with circle of radius 2880 pixels for the one xs circle of radius 2626 pixels for fusion ) but the onex has much more chromatic aberration i guess the lens on the fusion are much better, hence the price difference. I disagree. Look at the screen shots under the Standard 30fps Video section. The Fusion has much more pronounced purple fringing. Hi Ernani! I absolutely will do that. Thanks! It’s a shame it doesn’t come with a protective case/holder anymore. The fabric “protective” pouch doesn’t look very protective at all, and feels like it might even scratch the lenses. congrats!!! yes i prefer the old hardcase. but so far no scratches on this one. but you might accidentally start recording. How does the Insta 360 Studio compared to GoPro fusion studio? I’m really frustrated with the performance of GoPro fusion studio even though I have a good computer to edit my 4k footages. Hi Ganesh. Insta360 One X stitching time seems around the same as Fusion. (I will test it) But at least you can export in H.264 instead of Cineform or prores which take up 10x as much space as h.264. One min recording from my GoPro Fusion took around 26.5 GB in Cineform and the same in H.264 took about 1.6 GB from my GoPro Fusion Studio. which is why I’m thinking to move away from GoPro Fusion. It would be helpful if you could check the processing time of GoPro Fusion Studio and Insta 360 Studio, also how good the audio from Insta 360 X is..? Are there additional customs fees to pay when shipping to Germany? Thanks Mic for the great, detailed reviews as always. Thank you for your reply to my post in the GoPro Fusion thread. My question at this point: for a completely mobile workflow to create overcapture/freecapture videos, is it correct that Insta360 One X limits you to 4k while GoPro Fusion allows mobile use of 5.2k? Without the ability to use 5.7k video for overcapture in the mobile environment the Insta360 one x appears to be taking a step backwards here. Is this assessment correct? If it is, what do you feel is the likelihood of insta360 one x enabling 5.7k 360 for overcapture on mobile? Hi Mic, great review, I should receive mine on Monday! In regards to the use of the Log profile in low light- it should never, ever be done. Log is really meant to be recorded at a bit depth of 10-bit or higher. The problem is that the One X (and every other consumer 360/action cam) records 8-bit video and therefore only has less than 256 values (300% less data than 10-bit), or shades, with which to record the scene. When a Log profile is used, the camera dedicates a much larger percent of those values to be used for recording highlight information rather than more evenly distributing the data as it would in a standard Rec.709 profile. This may be beneficial for bright scenes where you want to prevent highlight clipping and shadow detail isn’t as important, but it will inevitably have a negative effect on dark scenes because much less data is being used to record the shadow info. Sure, street lights may not clip as sharply if you use a Log profile but the rest of the scene will look much less detailed and deep shadows will look blocky. In other words, a huge amount of your data will be dedicated to making those tiny, unimportant street lights look nicer while very little will be left for your subject and the rest of the scene. If you are shooting using an ARRI Alexa or RED, shooting a dark scene using a Log gamma curve is fine because you have 4096 (12-bit) values with which to record the scene but with an 8-bit camera, a Rec.709 gamma curve is much more appropriate in low light. Thanks Andrew! I was using normal mode, although it looks like log mode. Hi Mic. Yi 360 Vr can record with only usb-c charge (without battery, like a offline camera). Can this camera do? What graphics card are you personally using? When played on laptop with VLC, the lag is so bad video is unwatchable. Hi Bob! Welcome to 360! On my main PC I use GTX 1080, but you don’t need that. even gtx 1050 should be ok. For playback of exported video, try ricoh theta desktop app (free). it’s been able to play stitched 5.7k videos from the one x. Thanks for the feedback Mic. How much RAM would you suggest? I’d love to see a comparison between this and the Yi 360 for 5.7K, 120mbps video capture. No special features, just image and optical quality under a few different lighting conditions. Since these cameras cost the same and have the same resolution, it would be a valuable comparison for those of us who mostly care about IQ rather than the bells and whistles. Thanks! Hi Daniconil! The main advantage of the ONE X for photos is the HDR mode with 3 shots up to 4EV apart, stitched in the phone. See the new sample photos I posted. But in terms of detail, Mi Sphere has more detail. I wouldn’t necessarily say that Tony was incorrect. 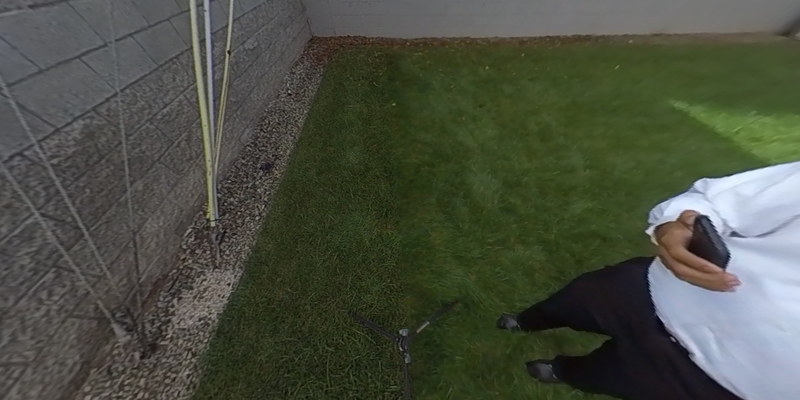 I tried the newest beta desktop software from the insta360 website and while it does actually export videos with stabilization now, the stitching is just as bad as the old version. It looks like it’s not using optical flow for some reason. Great review. I just wanted to ask about the software your are using. My camera arrived today and I taken some sample videos. As you mentioned the beta desktop app does not have the freecapture option. I installed the old version of the software for the previous model, but it does not allow the import of the new camera files. Should I stitch the files in the beta software then use Premiere Pro with the GoPro plug ins for overcapture? PS I was a bit annoyed that I paid for the monopod, as it came with one, now I have two. Hi Nick. Congrats on getting the One X! Re freecapture yes — you either use premiere with Gopro VR plugin and GoPro VR Reframe effect, or export the video as 4K so you can use the old insta360 studio. About the monopod – yes if you use my link you will get a free 2nd generation monopod. But don’t worry, it’s very useful and works with any 360 camera. Do you have any suggestions for attaining the best possible quality while exporting from the app? I exported a 4K@50fps clip to both YouTube and Facebook but they look terrible. Very compressed and ugly overall. Hi Andrew. For 360 I think it’s best to use the desktop app to export, and select the original bitrate. You can then edit in Premiere and select a high bitrate (110 mbps or something) to ensure original quality, or close to it. But ultimately youtube and facebook will compress it heavily. What about the FLAT quality of the photos? Is the software able to erase a bit of the distortion or fisheye effect is really here? Hi Clement. No problem — in insta360 studio you can change the projection to “perspective” (flat rectilinear), then click on the camera icon to take a snapshot to export the rectilinear view. Hi mic Ty, thanks for reply. Do you know if that flat pictures have important fish eye effect? My point is that I may also use this camera for normal photo to put in an album, so without 360 effect, just normal fisheye effect like gopro would provide. Do you know if it’s possible to shoot with only one of the camera and not both? hi Danny. I’m using Android 8 too and I’m able to do it without problems on S8+. You may want to try plugging the cable to the camera before plugging it to your phone. Hi, still on the fence because of all the complaints about the android app.. is it as bad as the comments on google play? Hi, save more money for this one or just buy mi sphere? this gonna be my first 360 camera. Mainly will used it for photo then video. Thinking to use it on my wedding and my trip. Hi Ivan. The Mi Sphere has more detailed photos and is waterproof without a case, but the one x is better in all other ways (and for photos, it has true HDR with 3 shots up to 4ev interval). If you’re sure you will use it only for photos, then Mi Sphere would be great. Otherwise I would recommend One X. In each video with the dive case, I find myself wishing they had the camera upside-down. I want to look at the ocean floor, not the ceiling. If the diver flipped the camera upside-down, then then case would be visible at the top, leaving the entire bottom clear for viewing. I’d love to see a video of this in action, just to see if it would actually work like I think it would. I had an idea for a feature if you have the ability to give feedback to the developers. I ride motorcycles, sometimes 8 hours in a day. Taking 8 hours of 360 video would take up huge amounts of space, and be incredibly hard to sift through to find the interesting parts. What I want (should be a just a software/programming feature) is to set the camera in a loop where it only stores the video when I hit a button on the remote,. The difference to this an just hitting record as normal is that I want the video to start recording 30-60 seconds before and after I hit the button, similar to how some DVR / dashcams work. On a bike moving at speeds, you often cannot hit a trigger until after you are passed the interesting view or after you have almost ran off the road, but you also don’t want to save the 95% of the day’s ride that is boring. Just an idea that I hope can be programmed in! Also, this would require full time power and also some sort of lens cover to protect the lenses from bug impacts but enable charging. Thanks for yet another nice review. I wonder would you recommend this product for doing cheap and fast way for creating 360 still panoramas for realestate and tourism? I’m still searching for affordable one click solution when clients don’t have resources or don’t want to spend for Hi quality solution made with DSLR and fisheye. My goals are still the same: in-device stitching, reasonable image quality without blurred area and or noise, low purple fringing, and way to do HDR to reduce burned out areas when shooting indoor areas with large windows. Why if I upload to street view, the display on the Android smartphone is messed up (horizontal and vertical orientation that doesn’t match), but when viewed on a desktop PC the image is normal. Are these bugs ? How does the photo quality compare to Theta V? I mostly shoot photos and am looking for an upgrade to my Theta S.
Hi Uday. It is slightly more detailed, and in HDR mode has greater DR than theta’s HDR mode. Great upgrade from theta S. The only thing is that the stitching is not in-camera, but you gain a lot more. Thank you for doing the review of this product. It has been very helpful. I need to impose on you with some questions about whether this device will serve this situation of mine very well. I teach sign language interpreting at an university. We do simulated scenarios in order for our students to gain some interpreting experience. It is a simple matter if we have a deaf consumer, a hearing consumer and an interpreter in between these two. 120 degree camera in the corner of the room works very well for these situations. However, sometimes we need more. For instance, we may need a second interpreter, or an interpreter works with a group of people rather than between two individuals. I wonder if this device being putting in middle would allows us to observe several signers and hearing persons communicating through the interpreters in one screen instead of having to pan around. If this is possible, then may I inquire as to optimized distance between the camera and the participants. Thank you for bearing with me and my odd request. Thanks Steven! A good rule of thumb is to use normal speaking distance. What is your opinion on Insta360 One X vs Rylo 5.8K? I am torn between the two for an in car (race car) application. I would value your thoughts. Does anyone know the best solution to create a private VR tour, which would work as Google’s StreetView (where you click on the ground to take you a few meters further), but would not be public? (Want to make a tour of my house, and share it with selected people). Any recommendations are very welcome. still no date announced for hdr video availability ? what are your advice to put a nd filter on a 2 lens 360 camera ? do you juste tape a nd gel ? Hi, I can’t figure out how to change the angle of the beginning of 360 video. Basically reframing the 360 clip, so it starts on the action and not some random angle, not interesting to viewer. 1. is it possible to set the angle in Insta360 one x app? (I did set the pivot point in freecapture, but when exporting a 360 video all freecapture edits are canceled right? They only apply to fixframe exports. 2. Is it possible to do it in premiere pro or finalcut? how? 3. is it possible to select the beginning view in facebook when publishing or youtube? I did not see that option. I also downloaded the HDR update file right before they pulled it. Cannot believe they released that, the menu’s were buggy as hell – I picked it up within a few seconds. Completely agree that they can further optimise the HDR – the highlights are massively improved, but low light detail is unchanged. Really HDR should improve both, not one or the other so they need to bake in a few more stops at the low end. Hi Daniel! their one x page says iPad Pro, iPad (2018). Maybe you can ask the Apple Store if they will allow you to install the app in the store demo units. If the app installs, it should work. If it’s not compatible, you won’t be able to install it. The iPad (2018) is a lot cheaper than the iPad Pro. I can’t afford the latter and I am unsure that the former will work fast enough. If I have asked you already, I am sorry but, did you (Mr. Mic Ty) use the Pro or the 2018? I think that third person shots are out of this world and that you correctly identify the main selling point of this camera, which I guess boils down to Freecapture’s “Smart Track” which “can pan the view automatically to track objects,” and afaik can only be done on the iOS or Android apps. the iPhone 7 and iPad 2018 have an identical “Platform” so if I purchase the latter (which I can do with my budget) I should be able to edit too. I have always wanted to try an iPad too. Cheers. “especially if they add the freecapture smart track function.” which support says they are going to do, “stay tuned”. That would be very interesting if they could add that! Hello, Sorry buy i don’t understantd.. The battery Life if i use 5.7k Is 30 minutes? Or 60 minutes teorical and 35 Min real? Hi Marco. The 30 minute limit is the recording time of the file. After 30 mins. it will stop recording but there is still battery and storage left. This is being fixed in the new firmware. In the new firmware, it will immediately start a new recording after reaching the 30 min. limit. Is this finally fixed in firmware v1.17.16? And can I use a 256GB card so I can record more than 3 hours of video on one card (with external power, of course)? Has anyone tried an SDXC card larger than 128GB? Mic, thank you *very* much for that crucial tidbit of information. I ran right out and bought one and I have more data for you. 256GB works! The camera reports 337 minutes of recording time available. This pencils out to 101Mbps (I find their advertising claim of “Up to 120Mbps” a bit misleading). I used a Samsung EVO Select U3 256GB, which has 238.44 GB usable when formatted to exFAT. Note that this card does not have a V30 rating. I have tested it and I’m seeing ~640Mbps write speed sustained (80MBps), which is way more than required by the camera, but I don’t know if that’s guaranteed across the entire card. Yes, the camera will continue to record in 5.7K after it hits the 30 minute mark. At exactly 30 minutes, it stops the recording, “saves” it (at least that’s what the camera says), and then starts a new recording. Unfortunately, it takes 7 seconds to get the new recording started, leaving quite a significant gap between 30 minute clips. Of course, it’s a huge improvement over simply stopping and not recording anything after 30 minutes. Still, if you’re trying to capture a live performance or a sporting event, the 7 second gap is going to be very intrusive. I find it odd that it takes 7 seconds, because with the shutter button you can manually stop a recording and start a new one in only about 1 second, which is still annoying, but a lot more tolerable. I hope Insta360 can improve this. Other cameras, such as the Yi 360, do a good job of recording videos across multiple files with no loss of continuity. The battery did charge while recording video. The camera got a little warm, but not hot. A 30 minute 5.7K recording is going to consume about 21 GB. If you use the camera’s USB connection to transfer the video off of the camera, and if you’re using a USB 3.0 port, the transfer time will be about 10 minutes. If you pop the card out of the camera and use a USB 3.0 SDXC reader, it will cut the transfer time in half, to under 5 minutes. Using Insta360 Studio, stitching and encoding 5.7K 100Mbps video is taking me about 3x as long as realtime, i.e. a 10 minute clip takes about 30 minutes to stitch. This is on an Alienware Aurora R7 i7-8700 + GTX 1070. Using the Adobe Premiere Pro plugin, stitching + encoding seems to be faster, maybe only 2x, but that was with a small file. On a large file, it takes a very long time for the encoder to get started, because it appears PP has to make an initial pass through the entire file before it can queue the encoding job, so the total time to encode is longer than Insta360 Studio. 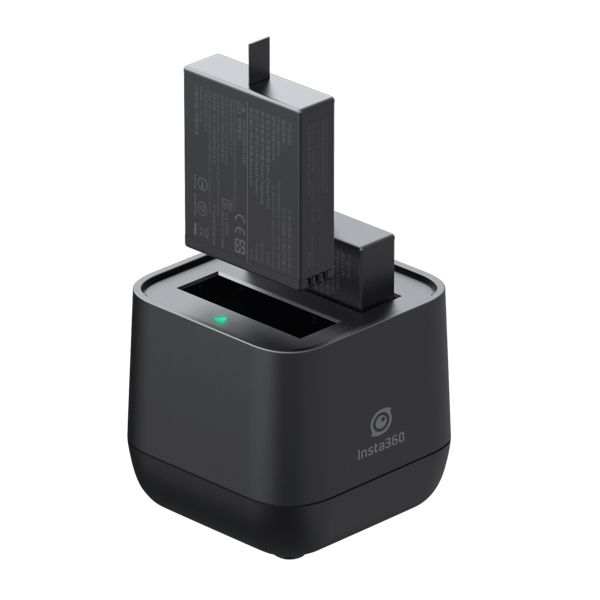 An update regarding 256GB support for the Insta360 One X… In my testing, the Samsung EVO Select U3 256GB is proving to be unreliable in the One X. Sometimes it records fine for over 90 minutes at 5.7K 30fps. Sometimes it can’t record for more than a few minutes at 4K 30fps. It stops recording and displays the error message “Insufficient Speed” on the display. As I noted, that card does not have a V30 rating. I am now testing a SanDisk Extreme 256GB with a V30 rating, and it seems to be going strong. I have now tried a 400GB SanDisk V30 card. It provides 520 (!) minutes of recording at 5.7K 30fps. I had no problems across eight hours and forty minutes of continuous shooting. Like Victor I bought a Samsung EVO Select U3 that I though compatible with the one X. I experienced the same issues as sometimes it stops recording after a couple of minutes displaying “insufficient speed”). No problems in my Mi Sphere but it seems that the one X needs a little bit more speed. Hi Gillaume! thanks for sharing your experience with the Samsung EVO select. i’ve been using a sandisk extreme (V30, U3, A2) https://amzn.to/2Yb2BKF I have never had any problems with it, and it costs much less than Sandisk Extreme Pro. i find the Camera has a strange behavior, when I rotate the cam left right while recording the picture gets blurred. anybody has an idea ? is this normal? Hi Michael. Yes that is motion blur. image stabilization cannot compensate for motion blur that is caused by slower shutter speeds in low light. to minimize motion blur, either increase the shutter speed or use a gimbal. I’ve seen many people complaining about the batteries in a cold conditions. Some says in subzero condition the battery lasted for 3minutes. To fix the problem instead of having extra batteries. Do you think Charging while shooting will extend the battery life? Hi Chaiwat. That happens to all batteries. Maybe you can use a warmer for the batteries before you use them. Yes you can charge while shooting. But maybe the cold will also affect the usb powerbank. Hi Mic. You got me interested in getting the insta360 one X and I’ve been reading this and watching a whole bunch of your YouTube videos on it. I want to make sure it will work for me and have some questions. Hope you can give me a comprehensive answer before I commit to buying or not. I record video of my walking tours. Right now I’m doing it simply using my samsung smartphone which is not as stable. Also, I’d love to be able to record and see what’s behind me as well because with the phone I can only either do it in selfie mode or record what’s in front of me. I like the fact this camera will give me very stable video and it will enable me to record front/back and everything around me. However, I usually record about an hour or more of videos in a walk as each walk is 3-4hrs long. 1. Can you let me know how much space it’d take to record a 30min or 1hr video using this camera? 2. I downloaded the Insta360 software and your test videos to try it out on my HP Pavilion laptop with 8GB of RAM. It works, but took 30mins to export the video from the Insta360 One X beta. Then another 30mins to capture it on the insta360 studio software to watch-able MP4. Therefore, it took 1hr to do just 28 seconds of your test video and it was very jerky (lots of stops & starts) when capturing it in studio. Is this normal or is my laptop just not good enough for the job? or am I doing something wrong? 3. What kind of hardware do you recommend to run these software comfortably? Thanks. Have a wonderful holiday season. Hi Kimmiko. A 2 min 36 sec. file in 5.7K takes up around 1.9GB. I estimate a 60-min. video will take up 43GB. It is possible that your laptop is not powerful enough. Insta360 recommends having a graphics card, at least GTX 750 Ti or better. Most laptops don’t have a graphics card, so I think that’s why your laptop was taking a long time to render the file. I am aiming to purchase ano NVidea GTX 1060 6GB graphics card for my old i7 as it seems to be recommended by some e.g. on Quora. gtx 1060 is good, but even gtx 1050 4GB is enough. Once your graphics card meets the threshold, CPU is more important. How old is your i7? I’m not sure what the minimum is. and I may have to upgrade my motherboard/CPU anyway. I was looking for a sound GPU with “legs” (that would last for a while). Can the camera be powered by the USB port while filming? Is the new stat overlay customizable? Could heart rate, or step counts be passed through from a phone to a screen? Thanks for your awesome reviews. You got me interested in 360 cameras again. Thanks OsoCrazy! You can choose which dials will show up but you can’t change the dials. Good idea though – I’ll suggest to Insta360. Your article mentioned a new feature to remotely activate One X through phone App. How do I do that? I can’t find such feature on my iOS One X phone App. Hi Jason. This feature was temporarily disabled in some firmware versions. But they said they will bring it back. When it is active, just click on connect from the phone app, and the one x will automatically wake up. The new question is how to turn One X off from the iOS App? I mount the One X on my helmet for ski video and cannot find One X remote control available to buy anywhere. I am trying to use the phone as remote control to turn on and off One X. Someone told me that recording while charging will deteriorate battery faster, is that true? i don’t know for sure. when i search, i see people give conflicting answers. Thanks for producing such a great resource. I am strongly considering getting a one x for an upcoming ski trip in April. I think what’s holding me back is that I am an android user (s8+) and it seems that not all of the features work 100% reliably, although updates do keep coming. Do I hold off until late March to see if things improve, or is it all OK now? Does the GPS info overlay for example work on Android now? The other question I have is around what case to buy. Venture case looks good for all but underwater stitching, but would the Dive case work in all scenarios, such as skiing? My guess is that you’d lose the microphone entirely, or at least more than with the venture case, and the dive case may not be as tough. would it perhaps be possible to explain the No-Stitch workflow as well as for daVinci resolve? That would be absolutely fabulous! Thank you, your site is an awesome resource!!! Shame that this forces me towards Adobe, the Insta360 desktop app is still very limited in what it can do. I noticed also an issue if I where to go through DaVinci instead (accepting the limitations it has) and export to 4K, that is that during editing you loose the metadata. When you reinject it you end up with a black spot at both Nadirs if you use the default 4K resolution. I tried also with a custom resolution of exactly 2:1 but that did not fix it either. Do you have some thoughts on this? Thanks for your help and the very informative website! Are comments turned off for this topic? None of my questions are showing up. Hi Victor. comments are moderated to block spam. pls allow time to review. Great resource, Mic. I put off getting it but finally couldn’t resist. Arrived yesterday. Are the accessories generally available? Remote and Venture case? Congrats Bill! Some of the accessories are available while others are not. The most notable absence is probably the venture case, which will reportedly be back in stock in March or April. Hi Mic. GPS data overlay has been available on android since app version 1.3.0. Probably you need to update information on this page. yes that’s right. thanks for the reminder. i’ve now updated it. The horizon of my video is not level whenI pan around. Do I have to Gyro Calibrate each time before each video recording? Hi Claire. how much is the leveling error? Is it only a little bit or is it a lot? Thanks for this review! In terms of pure photo quality, is it better than the Panono? Or at least at par? Thank you, that’s very helpful! Thanks for the post, i have the Yi360VR since more than 1 year, you think there is much diference between both cameras? If you set wifi to auto on the ONE X, you can connect to it from Android if you first try to connect with Bluetooth, the Bluetooth connection fail, but this “wakes up” the wifi on the ONE X, you can then connect the Android as normal. thanks i didn’t know that, Lars. good find! Hey Mic, how do I turn off Lock Direction when I use the Insta360 One X extension for Adobe Premiere Pro CC? I can’t find any options or documentation. I’m still having to stitch first in Insta360 Studio for ONE X in order to get Lock Direction before importing into Premiere Pro. Actually, I meant to write how do I turn *on* Lock Direction in the extension for Premiere Pro. I see that you can right-click on the file within your project window and select “Source Settings”, which brings up a dialog box where you can enable or disable FlowState Stabilization and select whether you have one of the protective cases. But there is no “Lock Direction” option, which is surprising given that’s an important feature. Also, disabling FlowState Stabilization doesn’t seem to have any actual effect. If you go back into Source Settings after unchecking the box, the box is back to being checked. Seems like Insta360 didn’t fully test this. I’m editing footage from a moving vehicle and it’s annoying that I can’t Lock Direction or enable/disable FlowState Stabilization from within Premiere using the Insta360 plug-in extension. I’m thinking to get one using your affiliate links. Which accessories would you advise? 3) I’ll also want an attachment that can stick to my snowboarding helmet/other items – is there any attachment that can currently do this? 4) I assume you’d recommend getting the largest SD card possible (128GB). Yes? I’m thinking to get one using your affiliate links. Which accessories would you advise? That’s awesome Rob! Thank you very much. 1. Invisible selfie stick: yes highly recommended. If you use my link to get the One X from Insta360 directly, you can get this for free: bit.ly/onexdiscount But if you are buying through Amazon, one advantage is that you can get an accident replacement plan, which I personally think is worth it for 360 cameras. 2. For an invisible tripod, I recommend Monoshot.co. The new version is invisible to the One X. The Bushman monopod is also nice but costs much more. For a comparison of tripods, see bit.ly/360tripod If you will get either of these, then technically you don’t need the invisible selfie stick. The only advantage of the invisible selfie stick over the monoshot or bushman is that the invisible selfie stick is somewhat pocketable (fits my front pants pocket). 3. For attaching it to a snowboard or other items, the easiest way is to get a 1/4-20 to gopro adapter, then use the many gopro accessories (including from third parties). 1. Looking at your affiliate links – they are for US items, and I’ll get charged huge import duties to import from the US, so doesn’t look like I’ll be able to use them unfortunately. 2. Please can you do a review of the Monoshot – I can’t see a review on bit.ly/360tripod for it. Does the monoshot have the female 1/4 connector on one side, and a male 1/4 connector on the other side [like the bushman?]. Also, what is the weight in companion to the bushman too? Hi Rob. re monoshot, pls. see the video in the article. I also have a review of version 1. but the video shows version 2. 1) 100 yen shop / dollar store 300 yen selfie sticks are also invisible but not so robust. To be invisible, it just has to be thinner than the camera. 2) It would not stand up but perhaps you could stick it into a hole in something. 3.1) stick the 100 yen shop selfie stick into the rear downwards facing torch that I have cable tidied to my helmet. The selfie stick plus a glove finger is the same size as a 18650 battery. 3.2) Use 1/4″ threaded (bolt) bar with large washers at the helmet end to attach to my helmet. 4) I think short videos are good, so 64GB is plenty for me. Hi friend… did you notice in your 3k 100fps video, that front camera it´s a bit blurry? I noticed EXACT SAME¡¡¡¡ with mine… only in 3k mode… FRONT CAMERA has less quality, definition sharp… if I rotate camera, rear has better quality. But doesn´t seem a focus issue, because 4k or 5k are both focused. Please, check your 3k 100 fps sample…. and more pople, can check too? it seems a software bug or similar…. Some news about this bug? Hi Pablo. I don’t see anything unusual. Can you send me a screenshot to show me what you’re talking about? thanks Pablo. I took some more test shots and you are right. I’ll ask Insta360 about it. Thanks! Hi, I noticed it to insta360 (on facebook forum) and your example is perfect (because it´s uploaded yet), mine it´s very similar, same blur image, and same front camera… to me, it´s a software issue, I think… or shutter speed different (but no sense because static image)… they are investigating…. and I think there are more cameras in same working way… not very noticeable since 3k 100fps not very used, and bullet time, if you put rear camera to down, not noticeable (due poor 3k quality) but really it´s an issue. Hi Mic Ty, please, let us informed about this… I´m waiting too…. would be great more people tested this mode to have more data to share with they…. Hi, it’s confirmed by insta360 (facebook group), it’s a bug present, I don’t if all cameras, but a lot yes…. check your 3k 100fps video to detect it. Great if they solve with firmware update. Android s9+ user here. So what’s the verdict? Rylo, or this one? I read both reviews and it is so much information I’m not sure what to do?!?! Seems insta has more features, like the cool bullet time and drift mode, but Rylo has better stabilization and a better hyperlapse (another important feature for me. Which one do you suggest. Last question. does Insta have the cinematic ratio like Rylo? If not, I feel like that might give Rylo the definitive edge. Hi Joshua. I would recommend Insta360 One X because it has a bit better overall image quality, especially in shadow detail and low light. Also, it has a much better workflow, including batch stitching. For stabilization, One X and rylo are now approximately equal. Likewise with hyperlapse. Yes One X has cinematic ratio, both on mobile and on desktop. I saw your review on youtube. Then I downloaded with the example footage of you to check if my huawei P9 is compatible. 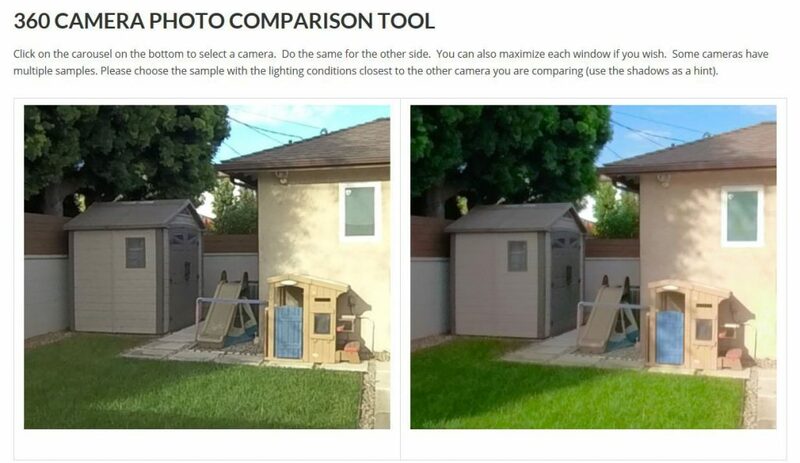 Mike, Please update the Camera Comparsion/Buying guide to reflect the most recent scores for all cameras, formexample the Insta360 OneX and Go Pro Fusion scores do not reflect the latest scores in your reviews. hi 360 rumors! With the One X 360.. Must i use the invisible selfie stick to get good results or can i use any selfie stick that doesn’t have a huge diameter? Thanks! I’m trying to minimize the footprint of the selfie stick when i process it. Hi Kevin! You can use any selfie stick that fits in the space in between the lenses. And remember to keep the selfie stick straight (don’t bend it at an angle). Thanks! It doesn’t collapse as well as some other sticks even though it’s nice. I can’t wait for the Desktop app to allow time speed changes like the mobile app does! Does anyone see what could be the problem and how to solve it ? Does anyone knows where to find the previous versions of the app when you want to downgrade the app ? Hi Stephen! i don’t have the older versions, but please try contacting insta360 tech support on their website, or in the insta360 one x app. they can send you the older versions. I’m new to this, can you explain how to use the Log mode and the Insta360 One X LUT . I use LUT’s in my Photo Imaging programs such as Luminar 3. What application(s) are required for the One X LUT? I just ordered my Insta360 One X Bundle from the Apple Store. It is a great deal, extra battery, SD Card included. I can not get your sample files to load in the Insta360 Studio 2019 on my iMac. Any suggestions? I have the current version 3.3.2 that I just downloaded. Hi Floyd. Did you download all the files? 5.7k video files have two files each. They must be put in the same folder, and you must not rename them. Gosh, I wondered why there were two files. Dur. I deleted one file and now realise that the other is useless. Thanks! that was fun to watch! great job making that helmet attachment and perfect time of the year to show it! Ok, thanks, let me download them again and put themin one folder on my desktop. I’ll let you know how it goes. I downloaded both files, put them in a folder named test on my desktop . When I try to open them in Insta360 Studio 2019 they are greyed out and won’t open. I tried to drag them to where is says Drag and Drop but again nothing. What am I doing wrong. ok i wonder if it might be your desktop specs? I figured out what the problem was. The Files were named with a .3gp after the .insv extension. When I removed the .3gp from the name they now all open. alright great! what caused the 3gp to be added? I don’t know why the .3gp were added. You might try downloading the files yourself to see if you get the same issue. The files clearly do not show that on the download page…. Here is what one looks like: VID_20181002_083043_10_006.insv. Anyway, my Insta360 One X arrived yesterday. The Apple Store offered a great bundled package which included an extra Battery, a 32gb Micro SD Card and the Bullet Time Bundle Invisable Selfie Stick and Time Bullet Handle/Tripod for a great price. I’m just starting to learn how to use all of the incredible features. The IOS and MAC Desktop Apps are great! Thanks for all of your posts and knowledge that to bring to us. 360° now has a completely new dimension with this setup! congrats and have fun with the one x! Thanks Jose Maria! You can control the one x with your phone. You don’t need to buy the bluetooth controller. Pls let me know if you have any questions! I have another question. I have seen that the Micro SD max storage capacity is 128 GB. Do you know how much time I will can record with this storage and 5.7k quality? Finally I have found that I can record only 48 minutes using 128GB!! On the other hand, do you know if it is possible use another micro SD cheaper than the one that you recommend which still work properly? Did you think that this Micro SD is enought for 5.7k? hi Jose. the one you linked (sandisk extreme 128gb v30 a2) also works for me. i’ve been using it on one x with no problems.